SAN JOSE, Calif. – The San Jose SaberCats (11-0) will play host to the Los Angeles KISS (1-9) on Saturday June 13th at 7:30PM PDT for the second time this season. 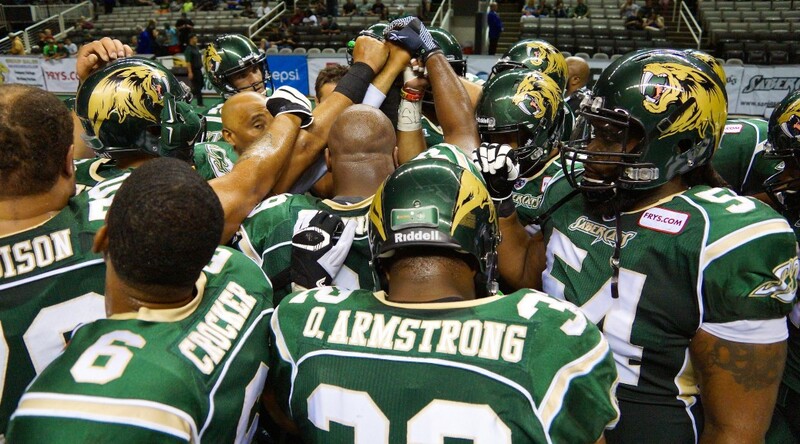 The 2015 SaberCats are approaching franchise history, yet their focus remains on each upcoming opponent. In a rematch of San Jose’s home opener against the KISS, the week 12 rendition will provide the SaberCats with an opportunity to improve to 12-0, tying a franchise best start set in 2002. In the previous meeting in week two, San Jose came out with a 54-28 victory, behind a balanced aerial attack and disruptive defense. In his first game as a SaberCat at the SAP Center, quarterback Erik Meyer paved the way, completing 64.5 percent of his passes for 222 yards and five touchdowns. Meyer connected with four different receivers for a touchdown, while Reggie Gray led all SaberCats with 10 receptions for 97 yards and two touchdowns. Currently, Gray ranks first in the league with 29 total touchdowns (26 receiving) and eclipsed the 1,000 yards receiving mark for the fifth straight year of his AFL career. With Meyer and Gray firing on all cylinders, the SaberCats’ have remained at the peak of AFL scoring offense and have already clinched the Pacific Division title. Hinging on its depth and talent on the defensive side of the ball, San Jose has the number one ranked defense and has only allowed an average of 36.8 points per game. 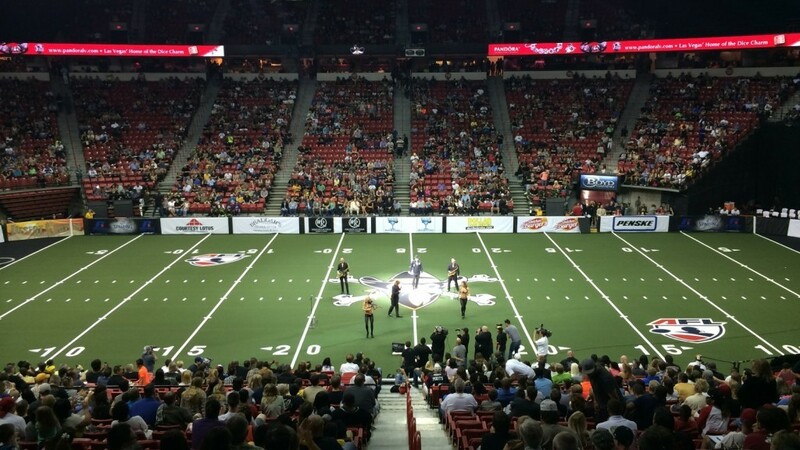 Winning by an average margin of 23.8 points, the SaberCats had five sacks, two interceptions and only surrendered 209 total yards against the KISS in week two. The defensive front for San Jose has consistently put pressure on opposing quarterbacks as well. Defensive tackle Jason Stewart is second in the AFL with 6.5 sacks, while Francis Maka and Luis Vasquez rank among the top five. Combined with a disruptive front is the ball-hawking secondary for San Jose. Defensive back Ken Fontenette leads the way, roaming the secondary for the SaberCats. After adding 13.5 tackles last week, Fontenette’s 85.5 total tackles and nine interceptions ranks first in the AFL. With Fontenette, Eric Crocker and legendary SaberCat Clevan Thomas, San Jose’s secondary will be matched up against a dual-threat quarterback and one of the best receivers in the league. A mainstay in the AFL, KISS receiver Donovan Morgan is second in the league with 1,148 receiving yards, reaching the 1,000 yard plateau for the sixth straight season. Morgan is coming off a three touchdown performance against the Portland Thunder and with 24 on the season; his ability to make plays will challenge the SaberCats. Returning to the starting lineup last week, quarterback Adrian McPherson had an immediate impact for the KISS. Against the Thunder, McPherson had 240 passing yards and five touchdowns, adding 32 yards on seven rushes. McPherson leads all quarterbacks with eight rushing touchdowns and against San Jose’s top-ranked pass rush, his legs will be relied upon, as will his arm. Going through major overhaul on its roster since the last meeting, the KISS is coming off a 52-40 victory over the Portland Thunder last week, the first of the season for them. In a trade with the New Orleans Voodoo a couple weeks ago, Los Angeles acquired defensive back Rayshaun Kizer. A four-time All-Arena defender, Kizer led the way with 8.5 total tackles and added two interceptions, returning one for a touchdown in last week’s win. Continuing to bolster the defense, the KISS also added defensive end Dajohn Harris (6-4 285) and defensive back Josh Victorian (5-10 190), both of whom have multiple years of experience in the National Football League. The additions have seemed to pay off for Los Angeles, with the 40 points surrendered last week the lowest total on the season. The game will also have a special number retirement and Hall of Fame celebration for former player and current Assistant Head Coach Omarr Smith. The celebration will include a halftime tribute to Smith, the retiring of his jersey number 14 and a Hall of Fame pin and banner give away to the first 5,000 fans in attendance. The game can be found on ESPN3 or KDOW 1220AM radio.